There’s no denying that we are years away from seeing any other search engine take over Google. Yes, it has grown that big and has left us so dependent on itself that it just can’t happen so quick. Google tracks almost all our activities through our smart devices — especially so in the case of Android devices. The places you visit, the steps you walk, the time you spend on each website, the searches you make, the products you click on and so on. If you are using Google devices and/or its products, Google is behind you. Tell me, why not? It’s your data. You don’t share it with your girlfriend, why’d you share it with anyone else? 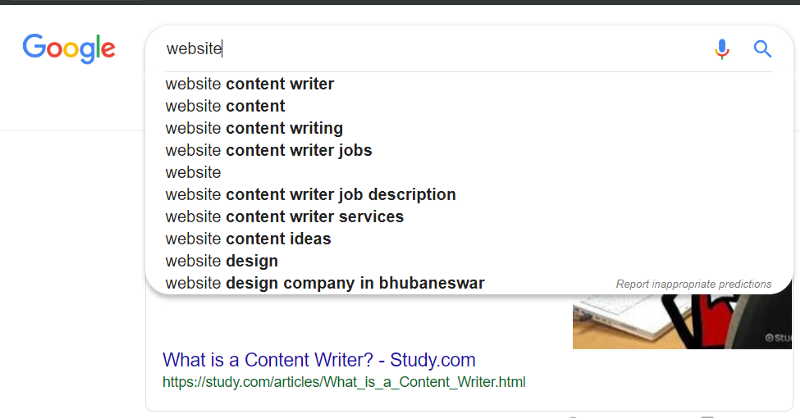 On the Google search engine part, the impact of tracking data (searches/activity) reflects in the biased search suggestions and results that you see when you search a keyword on Google. So, basically, Google bombards you with information that it “thinks” aligns with your prior activities. This is where DuckDuckGo comes in. It is a search engine designed to treat you like an anonymous user every time you use it. Simply put: it does not track you or your activity. This means that everything you search through DuckDuckGo stays between you and the browser only. If you wish to verify any of this, just follow steps one to three on both the search engines. 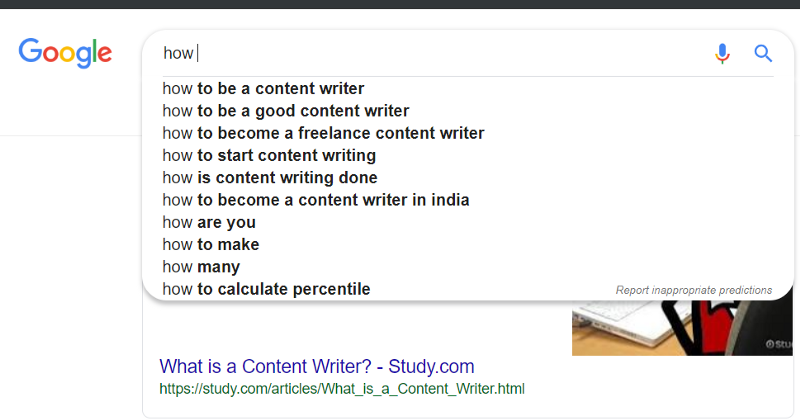 Once the search result comes up, type different words and notice what Google suggests. I typed ‘what is’, ‘how ’, ‘website’. And that was it. Google knew what I might be interested in next. Repeat the same with DuckDuckGo. And here are the results. On the other hand, when you use DuckDuckGo, it shows you a completely unique suggestion that hardly has any correlation with your previous searches. Now, I guess, it’s more clear to you. Despite being nowhere close to the search giant — Google — DuckDuckGo is growing faster than anticipated. With an average growth of 50% each year, the search engine is putting up a remarkable show on the stage. 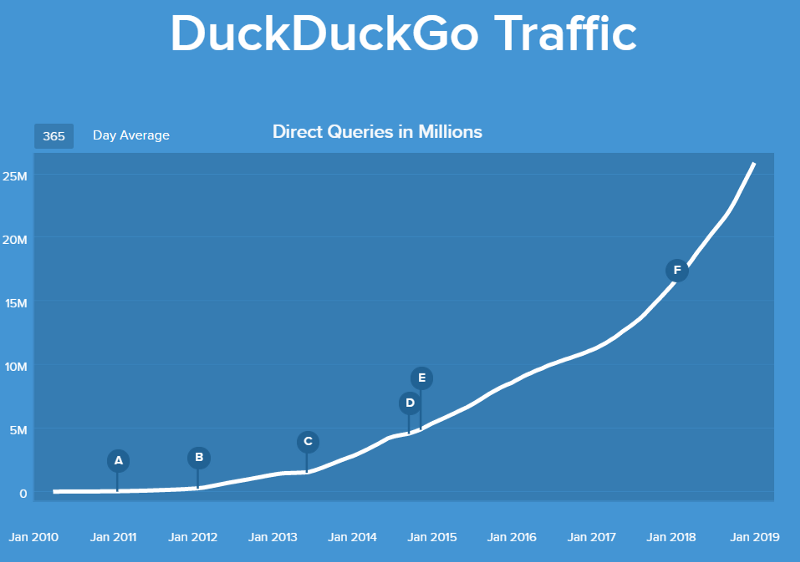 From its commencement in 2008 to date, DuckDuckGo has scaled from 79,839 average daily searches to a grand 33,964,034 average daily search in the first 20 days of 2019. How Close is that to Google? 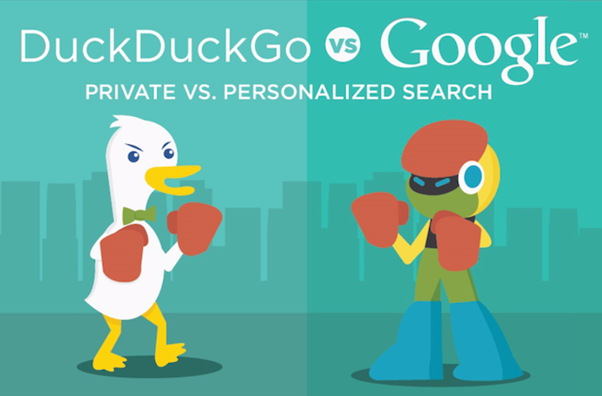 Whether you talk in terms of the number of searches or in total revenue, DuckDuckGo is but a “little something” when compared to Google. Here’s a simple comparison for you: What DuckDuckGo does in a day, Google does it within ~12.5 minutes. Yes, that’s ~33 million searches every 12.5 minutes on Google. That’s 3.5 billion searches every day and 1.2 TRILLLLLLLION searches every year. Also, we shouldn’t forget, it’s almost 10 years younger to Google. With 50% growth each year and people becoming more and more aware of data privacy, things might change for DuckDuckGo in the future. At least I’d expect it to. While DuckDuckGo wants Google completely gone, I hold a different opinion. In conclusion, I’d say that for me, personally, it is actually about choosing wisely between the two search engines according to what I need to know. Let me know in the comments which browser you use and what you like or dislike about it? Next story MAC Address Filtering | Secure??? ?